PORT JEFFERSON, Long Island (WABC) -- Suffolk County police are investigating a deadly boating accident in the Long Island Sound. 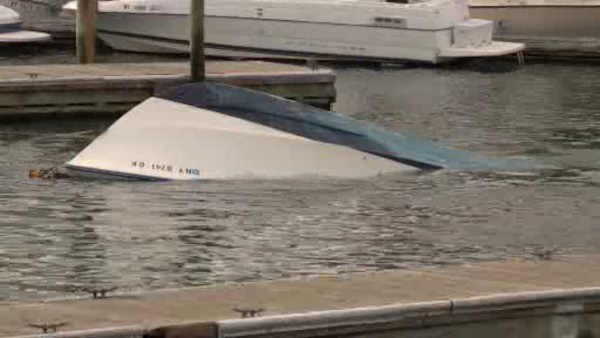 A boat was found overturned Tuesday afternoon in the waters west of the Port Jefferson Channel. The body of 80-year-old Charles Petrie of Holtsville was found inside the boat after the 20-foot center console was discovered. Crews are still searching for 73-year-old James Bilello, of Bay Shore. He was believed to have been with Petrie at the time of the mishap. The circumstances of the accident are not yet clear.